Serious diet pill addiction can result in permanent health problems, and even death. 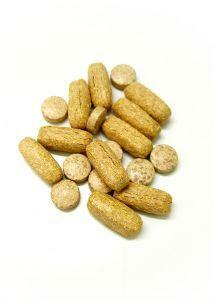 Diet pill use often turns to diet pill addiction among those looking for an easy way to shed unwanted pounds. The use of over the counter diet pills is one of the unhealthiest and most dangerous methods of losing weight that there is. Unfortunately, diet pills are easily accessible to almost everyone, including minors. You can find these highly addictive substances online and in just about every pharmacy, health food store, grocery store, and convenience store around. Because these pills are so easy to obtain, diet pill addiction has become a very serious and very common problem in our society. Most people who begin taking diet pills plan to use them responsibly. They start out taking just one or two pills, or whatever the recommended dosage may be. The problem is that after a short amount of time, the recommended dosage doesn't feel like enough. It is very common for individuals to begin to use more and more, until a full blown dependency develops. The addiction results from the substance found in diet pills. Caffeine, ephedrine, and phenylpropranolamine are just a few of the common addictive ingredients found in most diet aids. Even the herbal diet pills, which are often referred to as 'natural and safe', can be dangerous because they act like stimulants to the central nervous system. Much like speed and other amphetamines, diet pills can have serious and potentially fatal side effects when abused. There have been countless diet pills taken off the market because they do so much damage. Unfortunately, new pills are constantly being created to take their place. Until our society is ready to address the health issues associated with diet pills, these harmful substances will always be available. As you can see from this list, diet pills have severe, and in some cases, life threatening side effects. Serious diet pill addiction can result in permanent health problems, and even death. Weight loss is only beneficial when it can be maintained. There is no evidence that diet pills can maintain weight reduction indefinitely. And, regardless of all of the claims that are being made, there is no diet pill out there that is completely safe. If you take diet pills, you need to stop. No amount of weight loss is worth risking your health. If you can't stop on your own, don't be ashamed. Diet pills are highly addictive and can be as difficult to kick as cocaine or heroin. Fortunately, there are many addiction treatment and counseling centers out there that can help you through the process.